The Serena Hotels Group has yet again received global recognition by Condé Nast Traveller Readers’ Choice Awards for excellent service and accommodation. Serena Hotels span some of best destinations in the world with a portfolio of 25 Hotels, Luxury Camps, Safari Lodges and Resorts located in Kenya, Tanzania, Uganda, Rwanda and Mozambique. Real Africa have been using Serena hotels and lodges across East Africa for many years and most of the safari camps listed in the awards are used by us on a regular basis. We are proud to work closely with such successful partners who manage to provide excellent services in stunning locations across East Africa. Serena has managed to be one of our favourite partnerships due to their attention to detail, their warm and hospitable service, always with a smile and their wonderful locations. 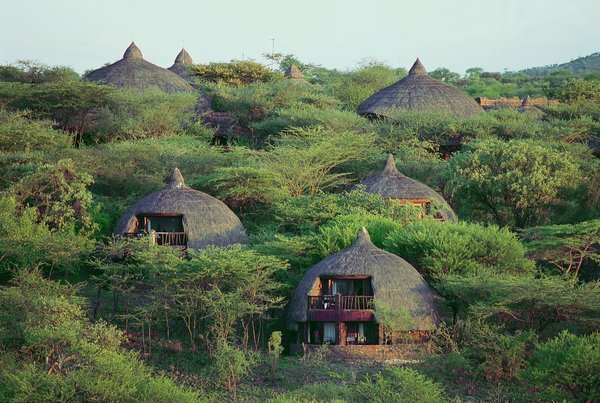 Many of their hotels, safari camps and lodges have been built in the local vernacular in order to blend in with the landscape. Many have great eco-credentials and also play an important role in working with the local communities providing, jobs, education and training. The Condé Nast Traveller Readers’ Choice Awards has become a platform to celebrate excellence and best practices in Travel and Accommodation, and recognizes organizations that have driven tourism by rapidly transforming the tourism sector and the economy at large. On this front clients of Serena Hotels have recognized their outstanding contribution to the development of the Continent, the economic aspirations of its citizens and the transformation of Africa’s image in international markets by branding their six destinations as world beating destinations for the tourist. They have also been recognised for providing the highest standards of service and product whilst operating in a sensitive manner towards monitoring the interests of the local population including traditions, culture and future development. The Kirawira Serena Camp stood out alongside other Serena properties in the Top 25 Resorts & Safari Camps in Africa, which rates the top resorts and safari camps in South Africa, Botswana, Tanzania, Zimbabwe, Kenya, and Zambia. The Top 25 Resorts and Safari Camps in Africa featured many of our favourite safari lodges and camps including; Amboseli Serena Safari Lodge (13th), Serengeti Serena Safari Lodge (15th), Mara Serena Safari Lodge (17th) and Ngorongoro Serena Safari Lodge (25th). In the Top 15 Hotels in Africa category the hotels the Zanzibar Serena Inn (10th) and Serena Mountain Village, Arusha (15th) did very well indeed. And in the top 100 Hotels in Africa two of our favourite lodges were also listed; Serengeti Serena Safari Lodge (17th), and the Ngorongoro Serena Safari Lodge (24th). We would like to offer our congratulations to all the Serena camps, hotels and lodges who did so well. This week our blog entry is all about our well travelled Sales Director Paul. 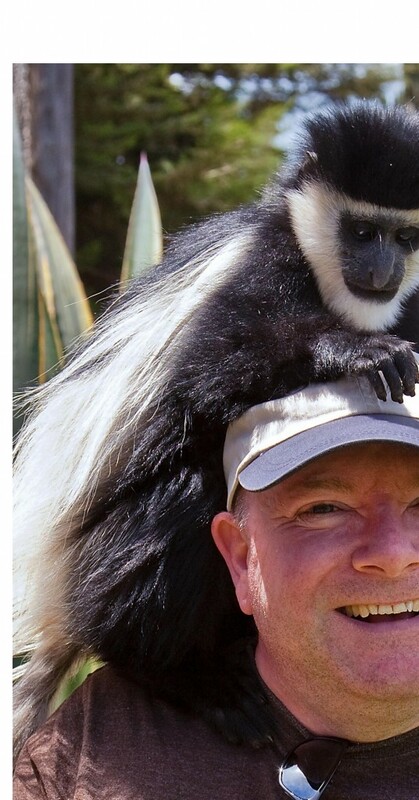 We thought we would ask Paul all about himself and his love of travel and give you a little more personal insight into the team behind Real Africa. Q: Where is you favourite place in the world and why? A: My favourite place in the world is Cape Town, it is the first place I ever visited in Southern Africa. It was raining when I arrived and then the rain cleared, the sun came out and I got to view Table Mountain for the first time it was an amazing sight. Q: What is you favourite part of Africa, when did you go there and why do you like it so much? A: My favourite part of Africa is Kenya and the Samburu National Park. I travelled there in 2004 and the game viewing was great and the lodge I stayed in was one of the best. Q: How many times have you been to Africa and where have you been? A: I have been to Africa 12 times. I have been to South Africa, Tunisia, Botswana (Okavango Delta and Chobe National Park), Zimbabwe (Victoria Falls, Harare and Bulawayo), Zambia (Livingstone) & Namibia. Q: Where else in the world have you been to? A: I have been to USA, Austria, Norway, Denmark, Sweden, Germany, France, Spain, Mexico, Italy, Croatia, Bosnia & Herzegovina, Israel, Dubai, Belgium, Cyprus, Greece, Republic of Ireland, Netherlands & Switzerland. Q: What is your best travel memory? A: Seeing Venice for the first time. Q: What is your funniest travel memory? A: When arriving at Karen Blixen Camp my luggage started vibrating as the hair chargers had come on by themselves! A: Visiting Tunisia, we had some bad experiences and it’s not somewhere I would go back to. Q: How did you get into the travel industry? A: I originally wanted to work as cabin crew but I was too short and wore glasses so I studied and got an accounting qualification and started working for a tour operator in central London first in accounts then in sales. Q: what is your number one tip for having a good holiday? A: Don’t expect it to be like home! Q: What other interests do you have other than travel? A: Reading, theatre, cinema and going to see my favourite pop group Bucks Fizz (now known as The OBF) featuring Cheryl Baker, Mike Nolan and Jay Aston! A: Anything by John Grisham. A: My current favourite is ‘The Most Exotic Marigold Hotel’. Thank you Paul! There will be more interviews with other Real Africa team members in the future so look out for them in our weekly blog. The Prime Minister of Rwanda Bernard Makuza has officially baptised the 22 baby gorillas born in the Volcanoes National Park over the past year. The 7th Kwita Izina ceremony, which was celebrated at the end of June, was introduced six years ago as a way of raising awareness of the conservation efforts and to give the gorillas a higher profile. During the ceremony local children from Kinigi, the town at the edge of the national park, dressed up as gorillas, each representing one of the babies. This year was particularly special as in both February and May sets of twins were born, a very rare occurrence with Mountain Gorillas. It also celebrated a 26% rise in the known Rwandan Gorilla population level over the course of the project, a combination of conservation, protection and better census procedures. The population of nearly 500 gorillas is growing at nearly 4% annually, reversing the trend of previous decades when extinction was the predicted outcome by the year 2000. Since the ceremony began 123 gorilla have received a name, greatly raising awareness of the Volcanoes National park in which they live. The ceremony was attended by thousands of people, and each gorilla received a “foster parent”, a group which comprised of government officials, diplomats and conservationists. Names included Ijambo meaning “word”, symbolizing the Rwandans effort to spread the word about these endangered animals. Others were Urahirwa (prospects), Indamutso (greetings) and the twins were called Isaangano and Isango (meeting place and appointment). Volcanoes National Park has been in existence for over 100 years, but it’s only been in the last two decades that it has been developed and afforded the protection it needs from agriculture and population pressure. This has been achieved by highlighting the economic benefits that the Gorillas bring to the local region and economy. Over 800 local people are involved in the day to day running of the park, 180 of which are guides, trackers and anti-poaching squads. There is also an adjoining cultural village run by the local community for visitors drawn by the primates to visit. The Rwanda Development board also runs a revenue sharing scheme which has led to the construction of 11 schools, 3 health centres as well as fresh water schemes. To visit the Mountain gorillas in the Volcanoes National Park, Rwanda, contact us on 0845 299 0264 for a tailored quotation for a full Rwandan safari tour to as an extension after a safari in Kenya or Tanzania. For more details and photos of all 22 baby gorillas, visit the official Kwita Izina website. From the 24th to the 28th of June 2011 five African attractions and destinations were added to the UNESCO World heritage list. The five were part of 25 new entries from around the globe. In the Natural Properties category, the Lake System of the Great Rift Valley in Kenya was added. The three lakes concerned – Bogoria, Nakuru and Elmenteita are shallow, alkaline lakes that between them cover just over 34,000 metres. They are home to 13 threatened bird species, as well as important breeding grounds for both the Lesser flamingo and the White Pelican. The reserves around their shores are home to many large mammals, including the black rhino, wild dogs, lion and cheetah. The lakes are a popular attraction for visitors on safari holidays to Kenya, the sight of hundreds of thousands of flamingos feeding in Nakuru and turning the lake pink being a breath-taking site. It is also one of the best places to see Rhino in Africa. Another place to get official status in Kenya was Fort Jesus in Mombasa, added to the Cultural properties. This Portuguese Fort, built in 1593, was constructed to guard the port at Mombasa, and was built in the shape of a man. It has a colourful history, attacked and captured on no less than nine occasions, despite being the first fort built outside Europe to be able to withstand cannon fire. Today it can be visited and is home to a small museum. Also added to the Cultural list was the Konso Cultural landscape. Situated in the Konso highlands in northern Ethiopia, the area is dominated by stone walled terraces and small fortified settlements, wooden and stone steles and a way of life that can be traced back over 400 years. Unique burial practices, folklore and local heroes recorded on the stele and a complex but ordered system of government make it a unique culture in danger of being swamped by the encroachment of the outside world. Archaeology was the reason why another African Cultural area was added to the list; the Island of Meroe in Sudan. Situated between the Nile and Atbara rivers, this arid landscape in covered in archaeological sites dating from the Kingdom of Kush, a strong regional power for over 1,000 years from the eighth century AD. These sites include the Royal City of Meroe itself, the religious sites at Naqa and Musawwarat as well as a host of secular, industrial and agricultural works. These include temples and pyramids, many of which have yet to be fully excavated and explored. The final African addition is in Senegal, the Saloum Delta. Formed by the estuaries of three rivers, a labyrinth of channels, inlets and islands has been formed that is home to a unique way of life. Mangrove swamps, thick forest and Atlantic coastline have contributed to an area that has 218 shellfish shell mounds, some 100s of metres long that have built up over many centuries. 28 of these contain burials, the grave goods in which have given a unique insight into a vanishing and ancient way of life. The controversial plans to build a road across the Serengeti National Park has been further criticised this week by the TATO – The Tanzania Association of Tour Operators. Figures released of projected traffic numbers show that on completion there will be 300,000 vehicles a year using the road. Growing pressure is coming on the Government to divert the road to the south of this world heritage site, the most famous and popular safari destination in Tanzania. The Government has already retreated and now says it will not tarmac the 50 km or so that is in the park but this is not enough to allay concerns about disruption to the animals and migrations. British Airways expand internal routes in South Africa. British Airways, with all flights operated by Comair, have announced that due to increased demand for premium service flights they are to open new routes, including the popular Port-Elizabeth to Cape Town flight. The Chief Executive on SANParks Dr David Mabunda has announced that 71 rhino have been poached in South Africa so far in 2011, following on from the 333 killed in 2010. The total included new kills as well as older carcasses which have just been discovered. He reported that 64 arrests had been made, compared with 164 last year. Many of the victims were taken from the Greater Kruger, is size making it hard to patrol and protect.